The last three months from end November 2017 to end February 2018 have been “eventful” to put it mildly both on the political and economic fronts. The build up to the National Conference of the ANC in December was stressful following a spate of political killings [notably in KZN] and palpable power plays between the dominant factions of the Party. Zuma and his cadres were using every trick in the book to entrench their rapacious hold on Government and State Institutions. 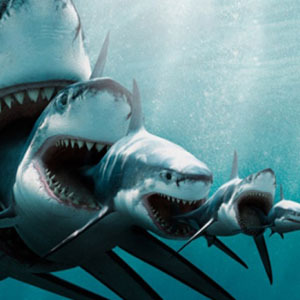 At times it seemed the feeding frenzy would never end. Then came the almost miraculous result – Cyril Ramaphosa had won by a narrow 179 votes – 2,440 against 2,261 for Zuma proxy Dlamini-Zuma. A close call indeed and hardly the platform needed to oust Jacob and his entourage. To make matters more difficult, the Top 6 was split down the middle and the 80-member NEC divided equally between those who will “eat” and those who will “feed” the Nation. The financial markets ignored the precarious balance of power in the ruling party and foreign investors suddenly returned in droves, pushing the ZAR ever stronger and our local bond values ever higher [see the blue shaded area in the graph on the below]. I don’t expect you will be able to read the text in the graph – no need to – we are just looking at the trends. The vertical black line is the moment Ramaphosa was elected. Note the upward trend in Bonds [blue], Shares [green] and Listed Property [yellow]. The vertical blue line signals the start of the “Final Countdown” for Zuma. 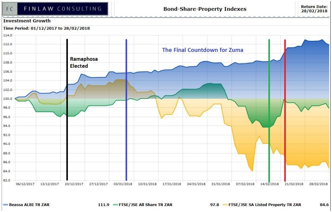 Bonds [blue] continue to rise in value while the Shares [green] continue upwards for a while before turning sharply South when it seemed Zuma was not going to resign. The vertical green line is the day Zuma announced his retirement [14th Feb – the best Valentine’s gift the country has received to date]. Up we go again in Bonds and Shares. The vertical red line is the date of delivery of the 2018 Budget Speech and uncertainty sets in again for Shares and Property. You may be puzzled by the huge sell-off in Listed Property shares [yellow shaded area above] in the past two months. Listed Property has been one of the best performing asset classes in the past 5 years. Foreigners have been attracted by the high income returns in this asset class – but following an adverse report from “Viceroy” questioning artificially high valuations and allegations of dubious processes in one of the biggest listed property companies – panic selling set in. Foreigners and locals switched to Bonds driving yields down and valuations up. Those listed property companies with large offshore property holdings also suffered because of the ZAR strengthening from around R13,50 end November down to a low of R11.05 in February. A “New Dawn” or just “Same Old Day” in Africa? The delivery and content of the State of the Nation Address certainly was like a breath of fresh air. SONA 2018 was even more upbeat and filled with promise than Mandela’s inaugural SONA of May 1994. President Ramaphosa was given a standing ovation by everyone in Parliament. The euphoria set in quickly and carried a wave of optimism not seen since Polokwane in 2007. Zuma was gone, promises of stamping out corruption rang through the corridors of power and a return to ethical government seemed firmly on the agenda. Folk who would never have supported the ANC now spoke openly about voting for them in the elections next year. In the celebrations that followed people forgot their woes and the inherent problems facing the country – as if they did not exist anymore. Then came the reality check! Ramaphosa’s first Cabinet appointments – scheduled for 8:30pm but “mysteriously” delayed until 10:00pm [who doubts that his preferred selections were hijacked at the last minute by the Zuma factions?]. The “New Dawn” had been eclipsed by hefty clouds which obscured the vision so eloquently espoused by Cyril in SONA. His face and body language clearly revealed a compromised man with far less power to effect change than so many of us had hoped for. He had failed to seize the moment and drive through the agenda the country so badly needed. The irony is that – by putting the party before the country – he has gifted the opposition with plenty of ammunition to negatively impact on his party’s success at the Polls in 2019! The ANC infighting will continue unabated – and with DD Mabuza as Deputy President [effectively President in waiting of the country] the risk of a return to criminality over time is given a real boost. Of course, he did secure key posts for vital departments – Finance, Higher Education, Energy, Public Enterprises, Social Development, Tourism and others – but to retain Bathabile Dlamini, Malusi Gigaba, Nomvula Mokonyane and appoint DD Mabuza as his Deputy has sent all the wrong signals. The Cabinet appointments were swiftly followed by a more than two-thirds vote in Parliament to take steps to change the Constitution of our country [rated the World’s best] to allow for the expropriation of land without compensation. 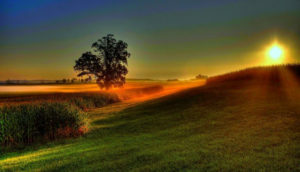 There can be no doubt that the land ownership issue must be resolved – but the blame for a failed process lies squarely with the corrupt and inept Department responsible for its implementation – not with those who own the land. If the Government succeeds in implementing the change it will likely be the final nail in the country’s coffin. South Africa will have signalled that property rights are insecure and international investment in South Africa will come to a screeching halt, capital will exit the country, the ZAR will collapse, inflation will rocket, and we will join the ranks of failed States in Africa. We can only hope that sense will prevail as the impact of such a policy dawns on those who propose it. Despite all the “noise” we do believe the country is turning for the good, albeit slower than we may have hoped. The economy will improve and with it the investment markets.